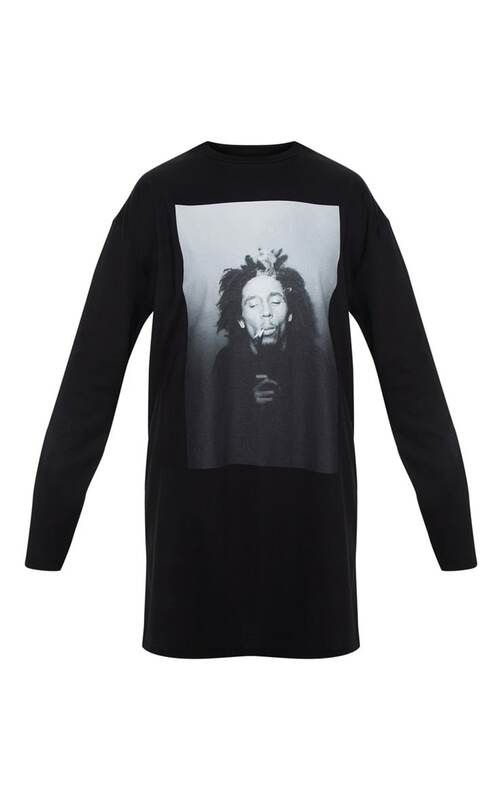 Get that off-duty look nailed with this t-shirt dress. 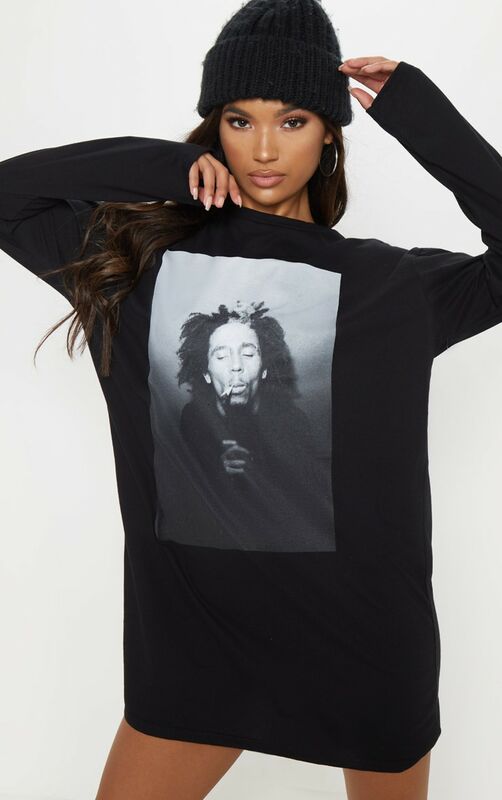 Featuring a Bob Marley slogan, oversized fit and long sleeves. 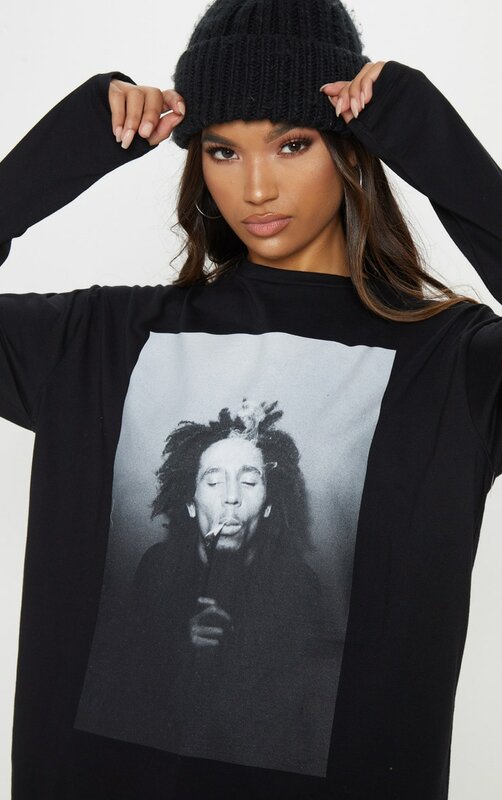 We love this styled with biker boots and a beanie for a rock chick touch.